TopTradr, the social trading platform provider, has announced the launch of a new trading competition for forex traders. The competition will take place among traders using its companion application, which makes use of leading forex broker FXCM’s API. The idea behind TopTradr is to gather together an online social network consisting of profitable traders. Traders using the platform are given accreditation in the form of a TopTrader (TT) score, which is calculated using a special algorithm to gauge the consistency and profitability of traders, taking into account factors such as risk and reward. 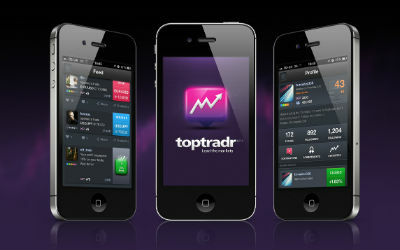 The TopTradr app is available as a free download for desktop computers as well as iPhones and Android devices. TopTradr claims that their app’s ranking system is based on the criteria that professional hedge funds use to evaluate the performance of fund managers. It has been designed to be able to discern between gains made as a result of luck and those that have come about as a result of skill and correct trading discipline. To this end, trading performance is monitored over the long term, with consistency and profitability being the main influencing factors in the decision to award points. Trade size, instrument, and volume are not important, which levels the playing field for traders with smaller accounts, and gives all traders the chance to compete for weekly prizes. The first monthly contests, which reward the best traders for that month with a cash prize, began in June, and the first prize payout will take place this Friday, July 19th. However, the main six-month competition will only begin once 5,000 users have signed up to compete for the chance to manage the equivalent of a $1m hedge fund. 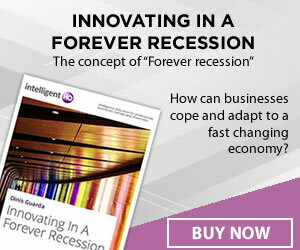 Increased competition among brokers has led to lower spreads across the board, and with more and more traders favouring non-dealing desk business models such as Straight-Through Processing (STP), the profitability of forex brokers have come under increasing pressure. The ‘churn rate’ of clients at forex brokers is high, and the only way for forex brokers to remain viable in the current environment is to encourage more long-term traders. FXCM’s approach to this issue is to invest heavily in educating their traders so that they can be profitable and manage risk responsibly, which makes them much more likely to carry on forex trading. TopTradr provides the firm with another avenue via which they can achieve this, by incentivising responsibility and attracting long-term traders with the format of the competition.